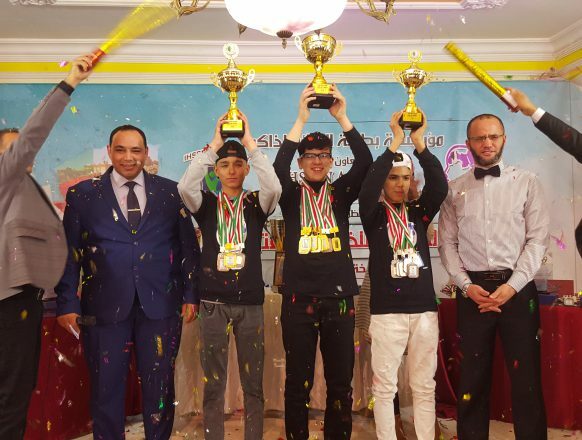 The Algerian National Open championship in its 8th edition was held on Saturday, March 30th, 2019. 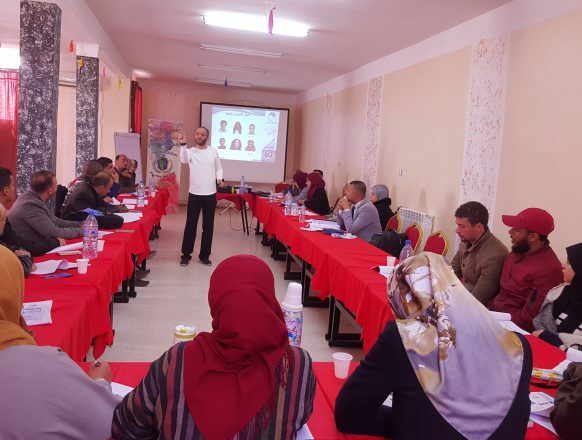 The event was organized in the beautiful city of “Laghouat”, precisely in the lecture hall of “El Khaima” in the city center. 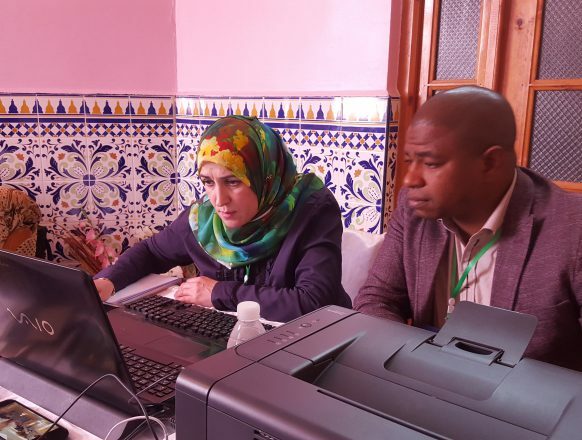 The Championship was under the supervision of Dr Riadh Bensaoucha founder of the Algerian Memory championship, founder of the Arabian Memory Championship and also the official representative of the World Memory Championship in the Arab World and Africa, in the presence of the international Level 3 Arbiter Ahmad Lamine Chala who was in charge of managing the Events inside the hall, Mr Lakhder Achour as chief arbiters, Mr Mustapha Benchaa as responsible of the organization. 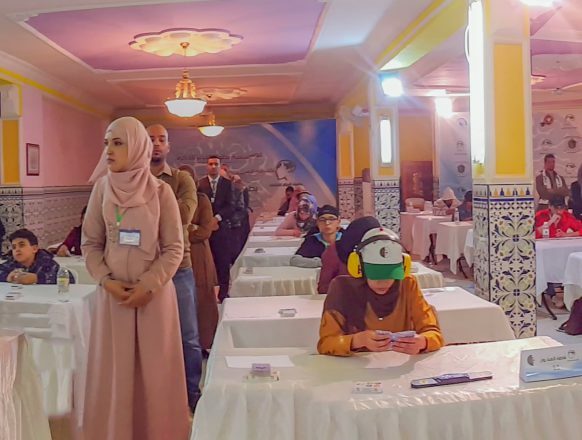 The Championship was organized by “the Algerian Memory championship Foundation” represented by Dr Riadh Bensaoucha – General Director of the Foundation – in cooperation with IHCEN Training Academy – Laghouat. 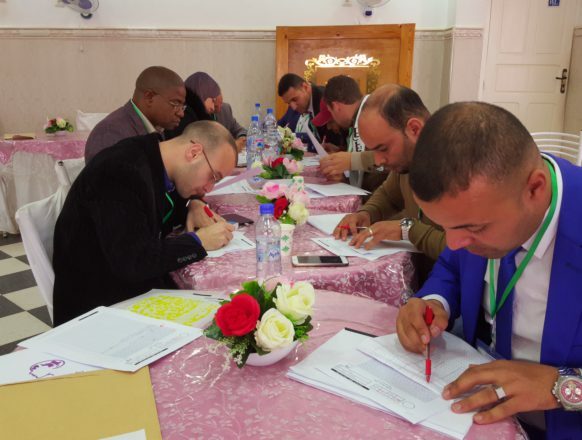 28 Arbiters from different Algerian states participated in the arbitration of the Championship after being trained by Level 3 Arbiter Ahmad Lamine Chala on March 29th at IHCEN Training Academy – Laghouat, and a group of 15 organizers contributed to the organization. 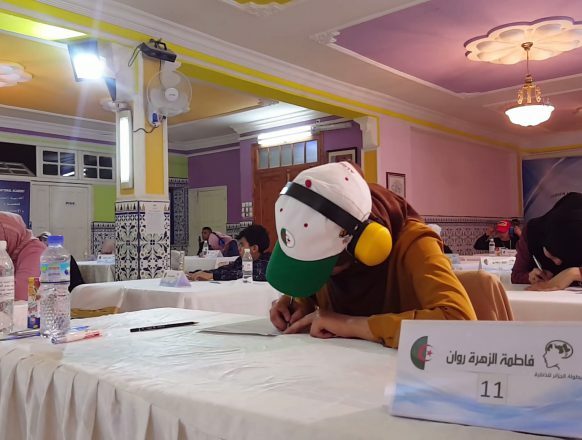 40 competitors participated in the 8th edition (22 females and 18 males), All of them from Algeria. 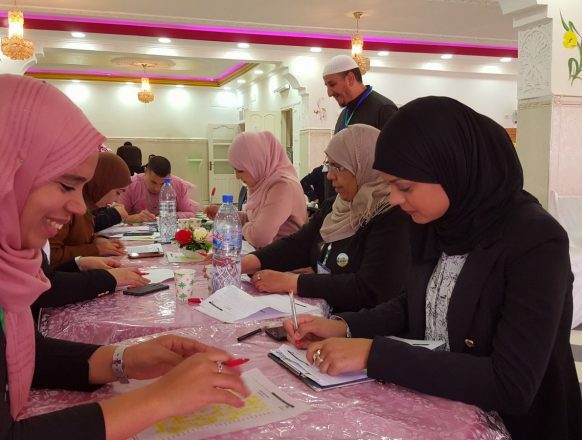 The competitors were consisted of: 19 Adults, 10 Juniors and 11 Kids, 10 had previously competed in memory championships, while the others were new competitors. 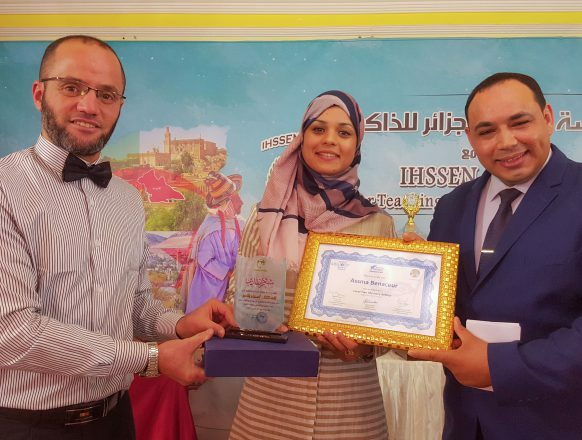 1st place: Fatima Zohra ROUANE (Adults), Mohamed Imad Eddine BENACEUR (Juniors), Mohamed RABIE (Kids). 2nd place: Azhar DRICI (Adults), Kamel HAMMADI (Juniors), Basmala DERKAOUI (Kids). 3rd place: Mohamed El Amine TRIKI (Adults), Manel YOUMBAI (Juniors), Yacine TAKALINE (Kids). 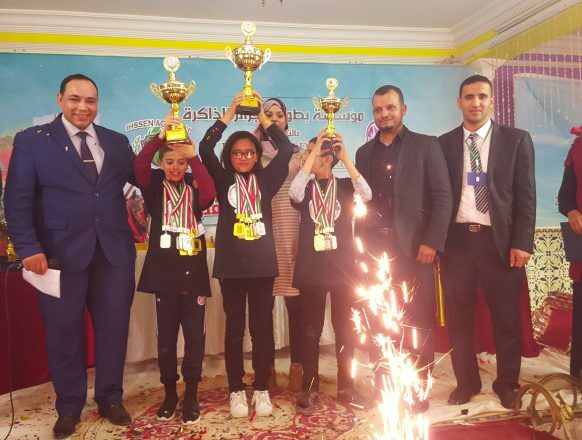 1st place: Fatima Zohra ROUANE (Adults), Mohamed Imad Eddine BENACEUR (Juniors), Chihabe Eddine OUNIS (Kids). 2nd place: Majda TIDJANI (Adults), Kamel HAMMADI (Juniors), Mohamed RABIE (Kids). 3rd place: Slimane BEKOUCHE (Adults), Mohamed TADJINE (Juniors), Ikram Habiba BOUAKKAZ (Kids). 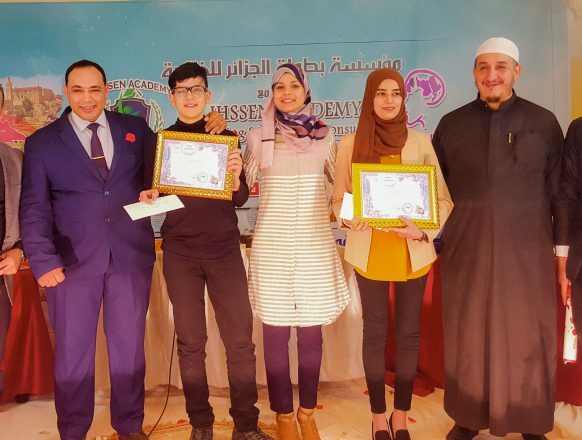 1st place: Fatima Zohra ROUANE (Adults), Kamel HAMMADI (Juniors), Basmala DERKAOUI (Kids). 2nd place: Majda TIDJANI (Adults), Mohamed TADJINE (Juniors), Ikram Habiba BOUAKKAZ (Kids). 3rd place: Aya CHEBAB (Adults), Takoua BOUDERBALA (Juniors), Mohamed RABIE (Kids). 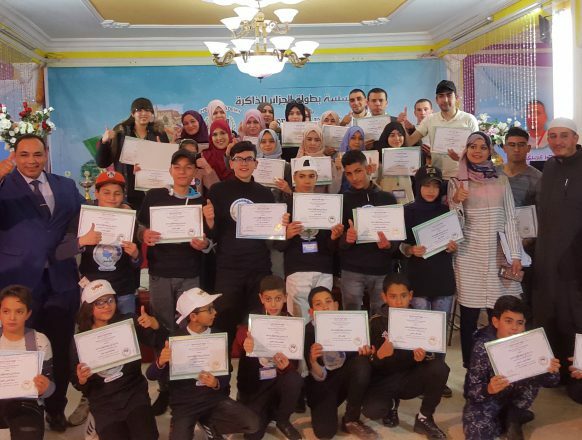 1st place: Fatima Zohra ROUANE (Adults), Mohamed Imad Eddine BENACEUR (Juniors), Ikram Habiba BOUAKKAZ (Kids). 2nd place: Slimane BEKOUCHE (Adults), Mohamed TADJINE (Juniors), Chihabe Eddine OUNIS (Kids). 3rd place: Majda TIDJANI (Adults), Mustapha BELFATMI (Juniors), Nora MENADI (Kids). 2nd place: Slimane BEKOUCHE (Adults), Mustapha BELFATMI (Juniors), Chihabe Eddine OUNIS (Kids). 3rd place: Majda TIDJANI (Adults), Mohamed TADJINE (Juniors), Yacine TAKALINE (Kids). 3rd place: Mohamed El Amine TRIKI (Adults), Kamel HAMMADI (Juniors), Nora MENADI (Kids). 2nd place: Majda TIDJANI (Adults), Mohamed TADJINE (Juniors), Mohamed RABIE (Kids). 3rd place: Slimane BEKOUCHE (Adults), Mustapha BELFATMI (Juniors). 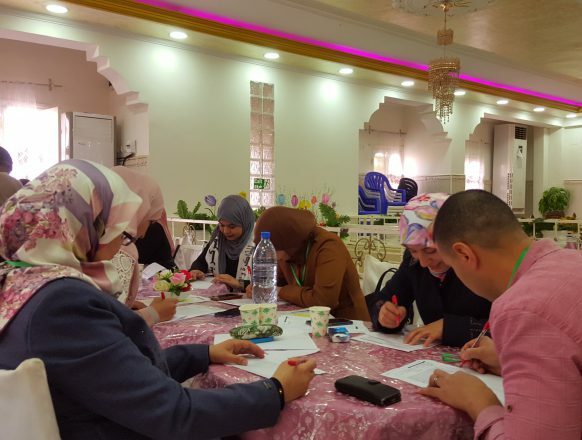 2nd place: Majda TIDJANI (Adults), Mustapha BELFATMI (Juniors), Ikram Habiba BOUAKKAZ (Kids). 3rd place: Aya CHEBAB (Adults), Kamel HAMMADI (Juniors), Nora MENADI (Kids). 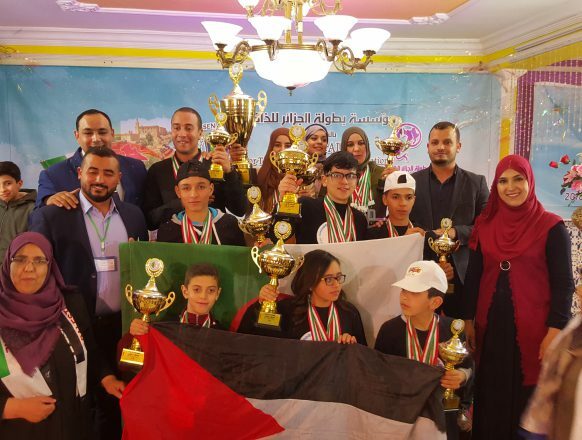 2nd place: Majda TIDJANI (Adults), Mohamed TADJINE (Juniors), Chihabe Eddine OUNIS (Kids). 3rd place: Khadidja AKROUT (Adults), Mustapha BELFATMI (Juniors), Nora MENADI (Kids). 1st place: Fatima Zohra ROUANE (Adults), Kamel HAMMADI (Juniors), Mohamed RABIE (Kids). 2nd place: Majda TIDJANI (Adults), Mustapha BELFATMI (Juniors), Basmala DERKAOUI (Kids). 3rd place: Khadidja AKROUT (Adults), Mohamed Imad Eddine BENACEUR (Juniors), Nora MENADI (Kids). 2nd place: Omar BOUTEGHRINE (Adults), Kamel HAMMADI (Juniors), Yacine TAKALINE (Kids). 3rd place: Majda TIDJANI (Adults), Mustapha BELFATMI (Juniors), Basmala DERKAOUI (Kids). 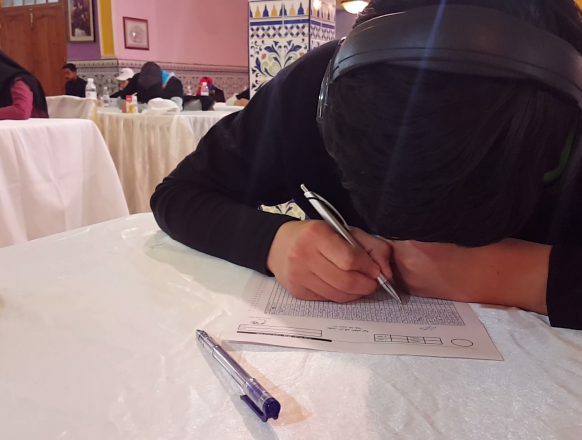 – Mohamed Imad Eddine BENACEUR (Juniors) Arab Record in Binary Digits (387 Digit/5min), Random Numbers (330 Number/15 min), Random Cards (135 Cadr/10min). 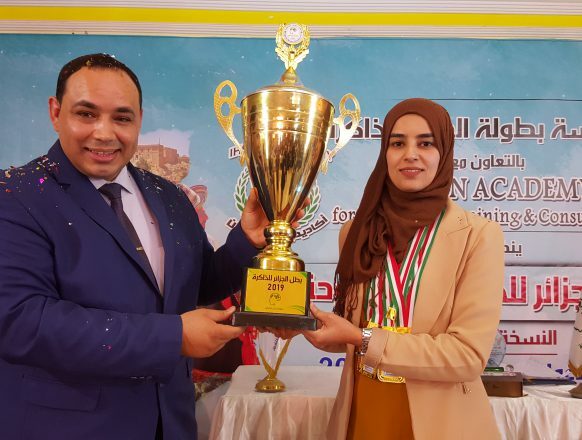 The Adults Algerian memory Champion of 2019: Fatima Zohra ROUANE, with a total of 4184 points. 2nd place: Majda TIDJANI, with a total of 1994 points. 3rd place: Slimane BEKOUCHE, with a total of 1622 points. 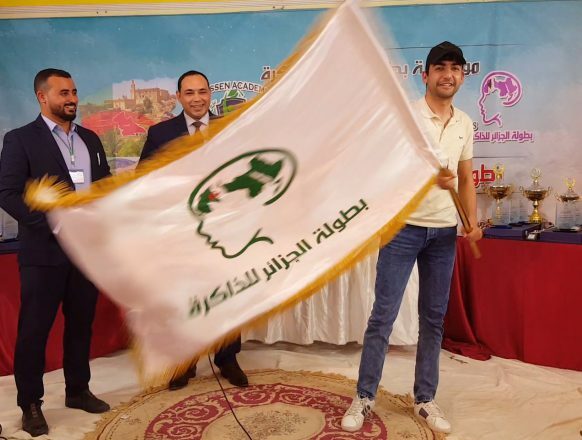 The Juniors Algerian memory Champion of 2019: Mohamed Imad Eddine BENACEUR, with a total of 2784 points. 2nd place: Kamel HAMMADI, with a total of 2356 points. 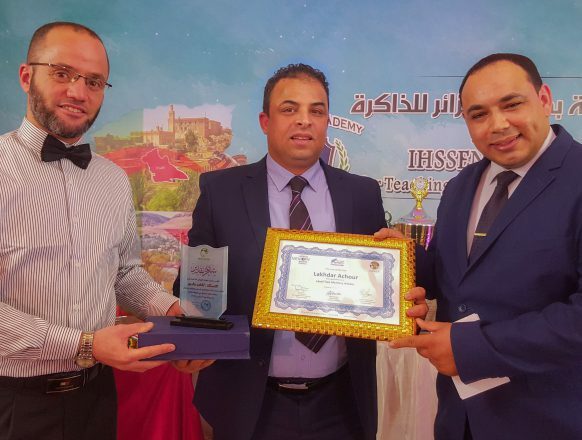 3rd place: Mohamed TADJINE, with a total of 2021 points. 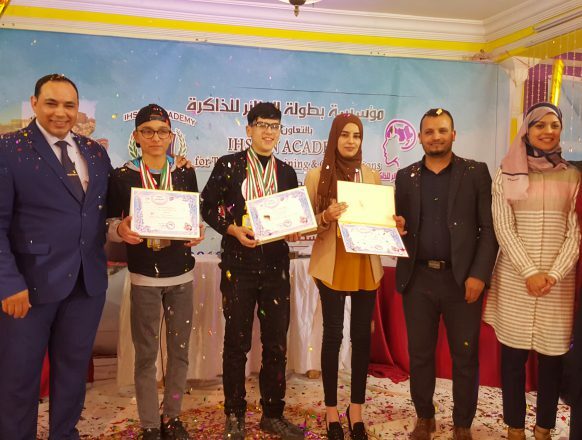 The Kids Algerian memory Champion of 2019: Ikram Habiba BOUAKKAZ, with a total of 1267 points. 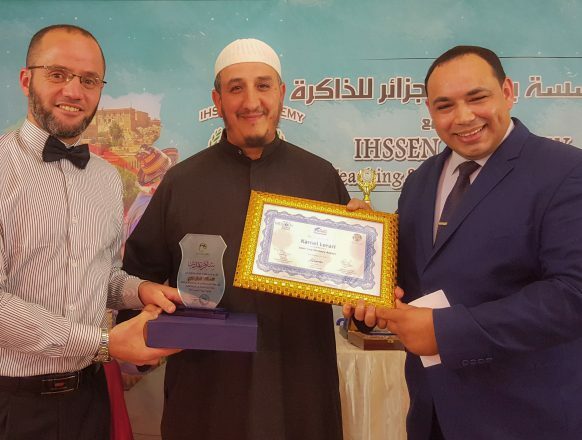 2nd place: Chihabe Eddine OUNIS, with a total of 971 points. 3rd place: Mohamed RABIE, with a total of 967 points. 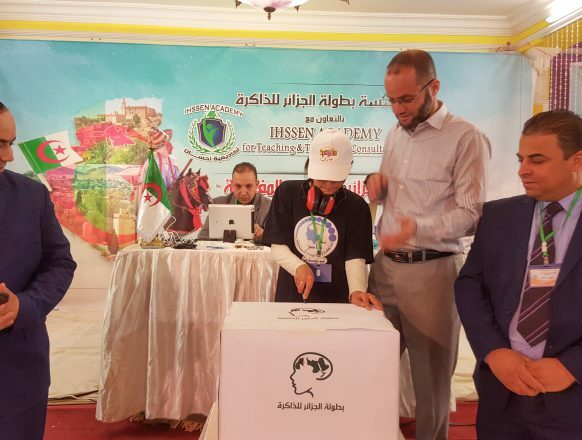 The results were announced on the evening of March 30th, 2019. 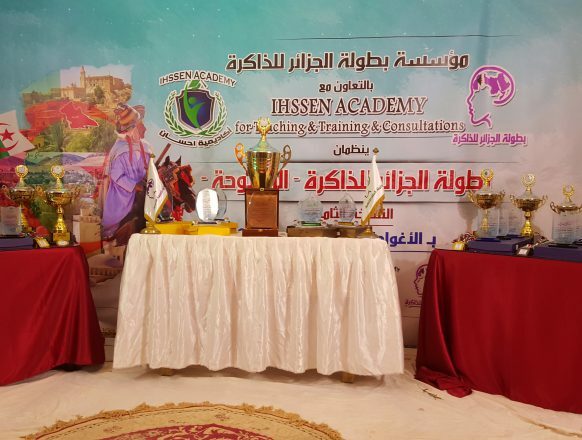 The ceremony started with the recitation of verses from the Holy Quran, then the Algerian national anthem and then a welcome speech by Dr. Riadh Bensoucha the founder of the championship, and a speech by the Director of Ihsan Training Academy Mr. Mustapha Benchaa, afterwards, a musical band was heard. 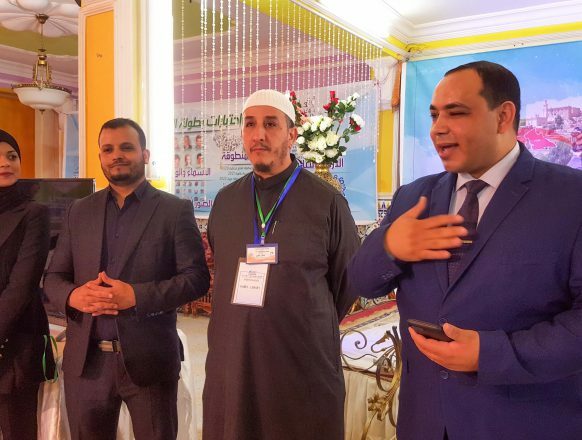 The founder of the Championship announced the victory of “Yacout Foundation for Training-Tlemcen” for the honor of cooperating to organize the Algierian Memory Championship for the coming year 2020. 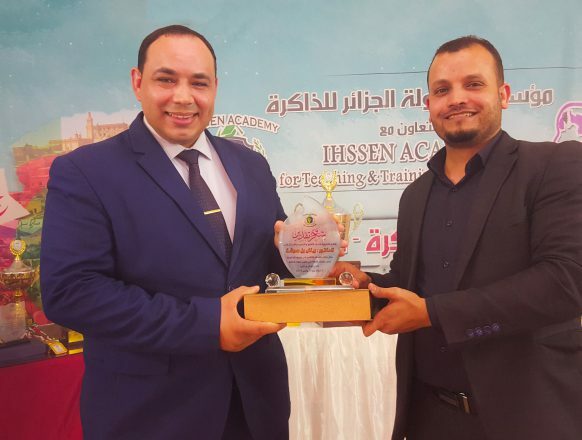 The Director “Yacout Foundation for Training”, Mr. Chaouki Dib Officialy received the flag of the Algerian Memory Championship from Mr. Oussama Benchaa the representative of Ihsan Training Academy- Laghouat. A wonderful video was presented by Mr. Rabie Bensaoucha about the most beautiful moments of the Championship. The audience enjoyed it a lot. Then a photo for All the competitors was taken. Then a photo for All the Arbiters. 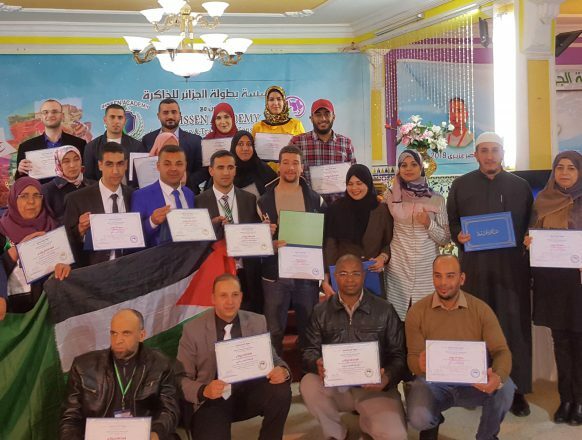 Then the Arab record holders were honored with certificates of honor and financial awards. The Championship’s founder announced the medals for the Kids, then the Cups for the Kids Champions. 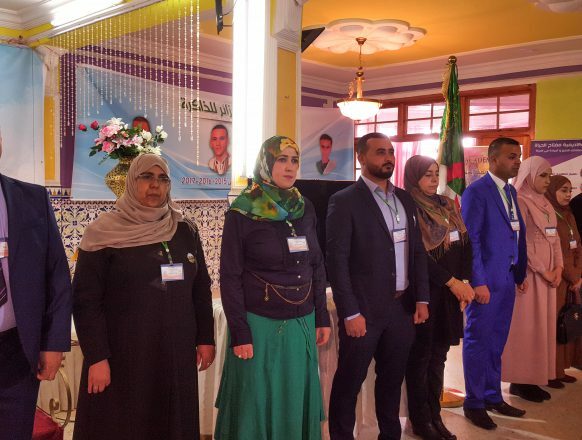 It was also an opportunity to honor the active memory trainers of 2019, where he declared Mr. El Mehdi Soltani as “the Most Active Memory Trainer in Algeria for the year 2019”, and he received a shield and a medal and a certificate of honor in addition to a financial award, Also Asma Benaceur was honored for the third place in the active memory trainers in Algeria. 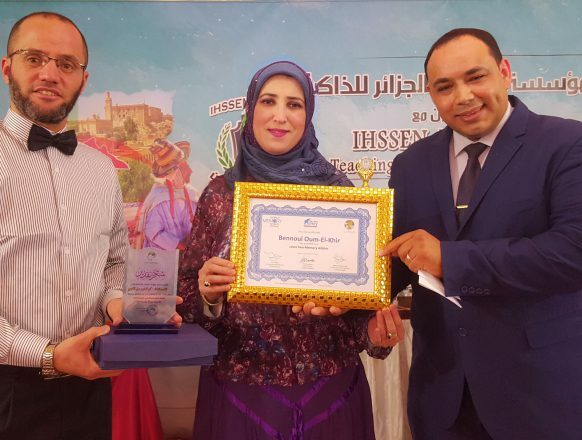 Dr. Riadh Bensaucha, the official representative of the World Memory Championship in the Arab world and Africa, He officially honored and promoted to Level 2 International Memory Championships Arbiters on behalf of WMSC the flowing Arbiters: Ms. Oum Elkhir Ben Naoui, Mr. Lakhdar Achour, Mr. Kamel Lerari, and Ms. Asma Benaeur. 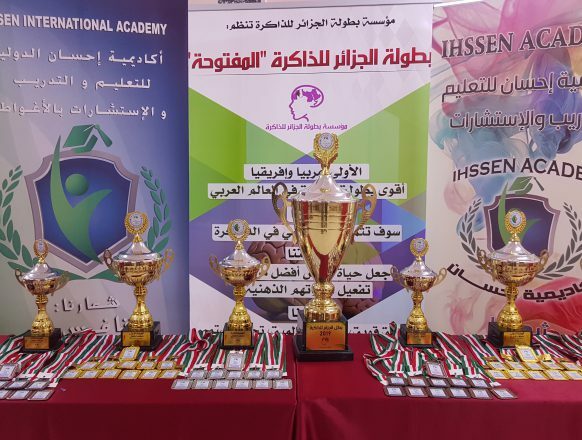 Then the founder of the Championship announced the medals for the Juniors, then the Cups for the Juniors Champions. 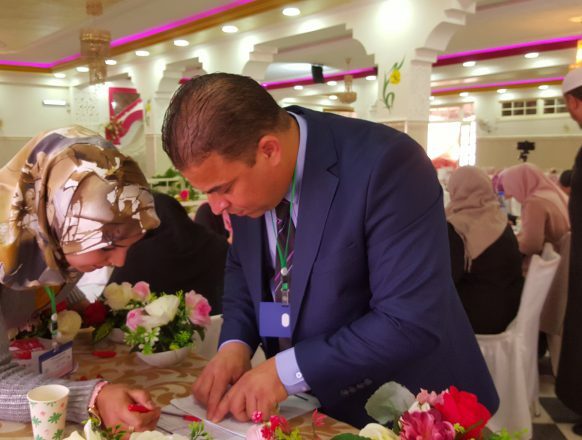 Many VIPs were honored at the closing ceremony, beginning with Mr Mustapha Benchaa the Director of the Ihsan Academy for Training- Laghouat, as well as the Success Partners: Ms. Asma Benaceur, Director of Benaceur Center for Memory – Tiaret, Mr. Chaouki Dib, Director of the Yacout Training Foundation – Tlemcen, Mr Sami Hadad the Director of Key to life Academy- Setif, as well as the honor of the Memory Champion of last year Nasser Aziri, by the shield of “the Ethical Champion”, the honor of Mr. Ahmed Lamine Chala the Level 3 Arbiter, Mr. Lakhdar Achour chief Arbiter, and Mr. Mohamed Amine Triki as “the Most Active Trainer in Memory of the University Students”, Mr. Rabie Bensaoucha the Creative and Media Officer of the Championship, Mm Ouarda Asaidi Level 2 Arabic Arbiter, Ms. Oum Elkhir Ben Naoui, Mr. Kamel Lerari, the Champion Ikram Benceur, Ms. Khadija Akrout, after that Dr Riadh Bensaoucha announced the medals for the Adults, then the Cups for the Adults Champions. 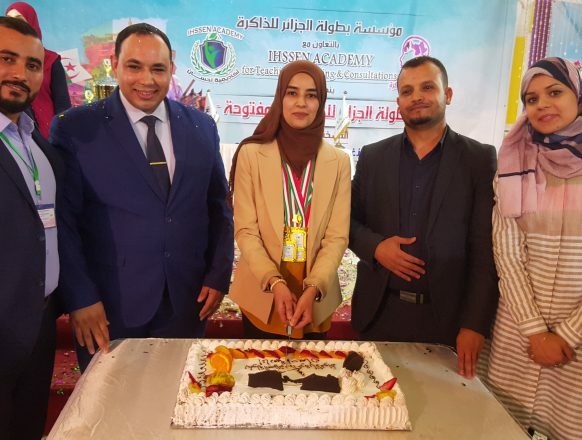 The first three rank holders were declared as follows: First place: Fatima Zohra ROUANE (4184 points), second place: Mohamed Imad Eddine BENACEUR (2784 points); third place: Kamel HAMMADI (2356 points), The founder awarded them by certificates of honor and announced that a contracts will be signed with them to provide full technical and financial support to represent Algeria at the upcoming World Championships in China. 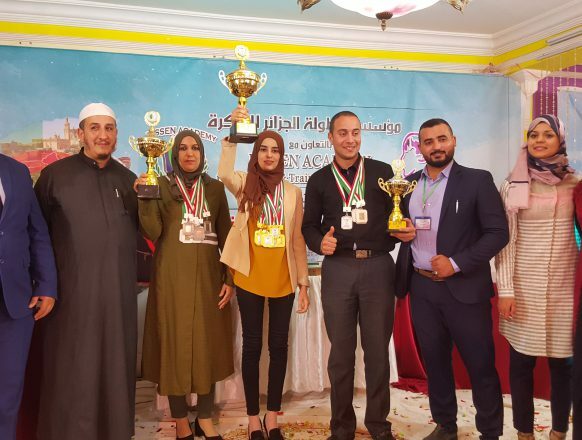 The ceremony ended with the declaration of Fatima Zohra ROUANE as the Algerian champion of memory for the year 2019, in a wonderful atmosphere of celebration and joy, followed by the division of the sweets of the Championship, which was divided by the new Champion to be the official end of the 8th Algerian memory Championship, after that the audience spend the wonderful times in taking pictures with the new campions. The day before the Championship was an opportunity for a tour in which the competitors and the Arbiters participated. 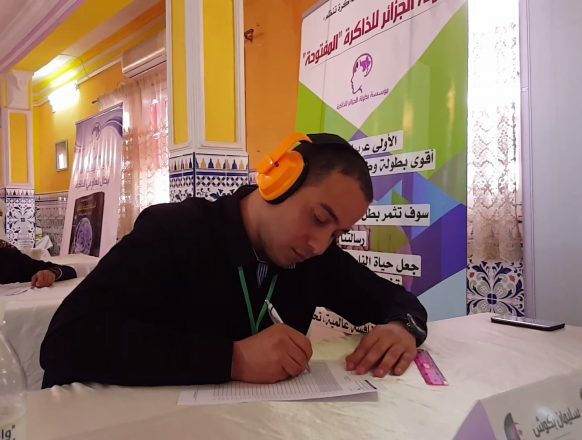 The destination was “Tagammut”, “Wade Mazzi”, “Kordan Palace”, “Tijania Corner”, “Old City of Ouled Madi”, where the champions enjoyed an atmosphere of fun to stay in memory.